Sandoe's Fruit Market has been a staple in Adams County for 65 years. Not only do they provide fresh produce for their loyal customers, but they also supply local grocery stores, restaurants, B&Bs and festivals. ​Location: 304 Carlisle Road, Biglerville, Pa.
Sandoe’s Fruit Market is about as rich in history as it is in local produce. In the summer of 1953, Ralph Sandoe asked a Biglerville bank board of directors to give him $14,000 to buy a 28-acre form north of town. Although skeptical if he would succeed as a farmer and fruit grower, the bank approved his request and Ralph went straight to work on building his business. A lot needed to be done in the first few years as the buildings on the property were in such a poor state. Ralph said that the first fruit stand resembled a tumble-down shack. Working as a fieldman for ACFP and Distributing Co., Ralph came to know other local fruit growers. He realized they needed help marketing the fruits and vegetables they were producing which is why he came up with the idea of opening a wholesale marketing business. In 1970, Ralph and his wife Sara opened the market. When Ralph and Sara retired in 1991, Gary Kauffman took over the business using the same principles set in place as his predecessors. Today, Sandoe’s Fruit Market sells produce from over 200 local growers to customers as well as supplies local restaurants, grocery stores, B&Bs, and festivals with fresh fruits and vegetables. Sandoe’s has been working heavily with the National Apple Harvest Festival since the early years. They also supply to local non-profit organizations for their feeds and carnivals. “I feel that it’s important for us to all work together because in the end, it only benefits our community,” said Sandoe’s Vice President Courtney Kauffman. Adams County is home to a massive and successful farming community which brings visitors out into the countryside to experience local agriculture. With a handful of other fruit and farm markets in the area, Sandoe’s does what it can to stand out from the rest. “We always try to set ourselves apart by providing the highest quality produce while offering reasonable prices. The goal is always to provide a great customer service experience to everyone,” said Courtney. 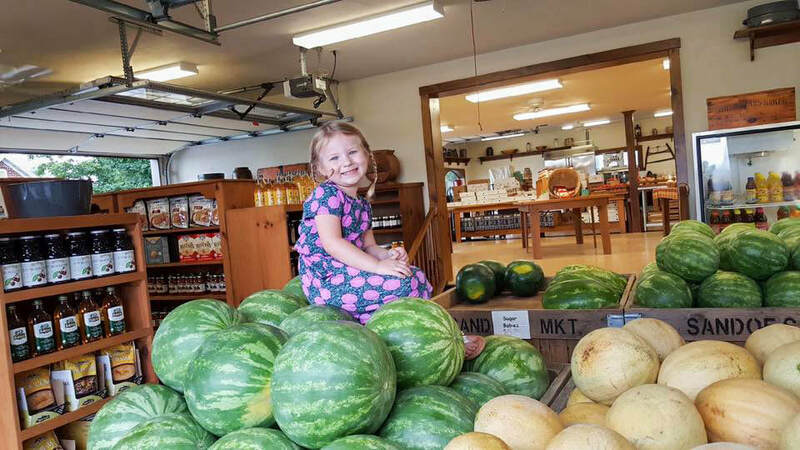 Looking at agritourism as a learning opportunity Courtney says she really likes to be able to educate customers on their local produce as well as local wildlife. 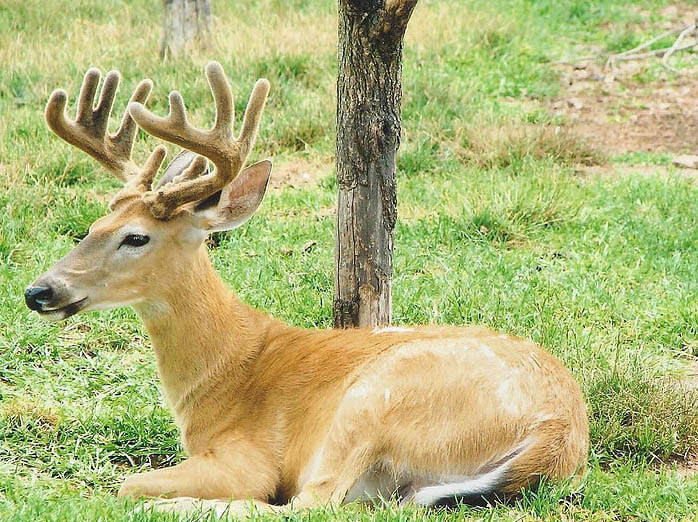 Sandoe’s is home to a few tame whitetail deer that have become quite the attraction. “Our customers like to look at them while the shop at the market. Many people have never had the opportunity to see a deer that close. We also have an all-white deer which is pretty rare, so people love to come and see her,” said Courtney. The best part of the job, according to Courtney, is that Sandoe’s is still very much a family business.